Uncover your secret superpower with the Albany Symphony’s team of musical heroes! David Alan Miller needs your special power to help the Albany Symphony on an adventure through the greatest melodies in the galaxy! Featuring super selections from Pictures at an Exhibition, Bolero, & more! CAPES & COSTUMES WELCOME! Celebrate the season with family and friends at the Capital Regions favorite holiday spectacular. Sunday Symphonies are hour-long concerts featuring David Alan Miller in costume, portraying figures from music history. Some no good, swashbuckling pirates have taken over the Erie Canal and won't let anyone through. Can Ship-Captain Dave and the brave Albany Symphony musicians trick them into letting all the boats through? They'll need your help on this wild musical journey along the Erie Canal. Low Bridge, We’re Coming to Your Town! Featuring American musical classics by Copland, Bernstein, Sousa, a sing-along, and thrilling new works by Michael Torke and Dorothy Chang! Come dressed for an adventure! Pirates and sailors welcome! Adult tickets are $20 and KIDS GET IN FREE, courtesy of GE Kids in Free Days. ***Children's tickets are not available online. Purchase your adult tickets online and pick up your free kids ticket at the Box Office on March 18 before the concert. BUY ALL 3 CONCERTS & GET FREE KIDS TICKETS TO THE MAGIC OF CHRISTMAS. CALL 518-694-3300 TODAY! Come early and try out your favorite instrument! 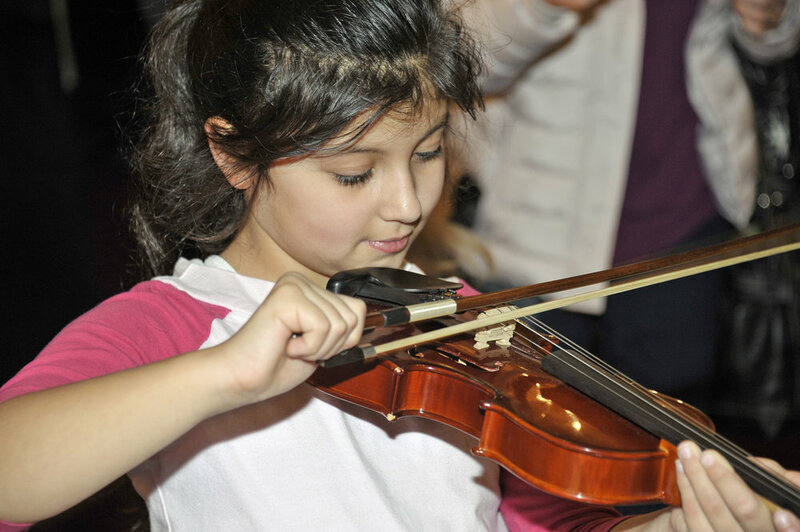 Come one hour before each Sunday Symphony for hands-on activities including an Instrument Petting Zoo. The Evil Emperor has outlawed all music in the galaxy. But, from the far reaches of a distant solar system, a mysterious wanderer appears to rally the "resistance," a small troupe of singers, to harness the force of song and destroy the Emperor's power. Is he "The Last Maestro?" Help him use the force of music to save the universe from the "Sound of Silence..."
Featuring singers from the Bard College Conservatory Graduate Vocal Arts Program. Come dressed as your favorite Star Wars character. Storm Troopers and Jedi Masters welcome. ***Children's tickets purchased online through Ticketmaster.com are subject to all applicable charges and fees. Call 518-694-3300 for no-fee kids tickets. Celebrate the season with family and friends in Albany at the Magic of Christmas, the Capital Region's favorite Holiday spectacular. Sparkling holiday favorites and carols led by David Alan Miller and the Albany Symphony. Tickets start at just $28 and children are half price when you order by phone. Dragons, brave princes and princesses, a cowardly birdman, and magical musical instruments; young Wolfgang Amadeus Mozart finds himself on a most amazing musical adventure. Help him, and a group of brilliant singers, create a masterpiece fit for the grand stage. It’s destined to be a hit, a new opera called "The Magic Flute." Featuring singers from the Bard College Conservatory Graduate Vocal Arts Program. Come dressed as your favorite prince or princess. Dragons and wild creatures welcome! Team up with that fearless musical avenger, Captain American, as he battles the forces of darkness in defense of great American music! Hear great music by John Williams, Aaron Copland, Leonard Bernstein, and others. Help Do-re find her voice and discover how to sing! Join the Albany Symphony and four brilliant young singers in an epic undersea operatic adventure featuring music by Mozart, Rossini, Verdi, and Puccini. Sparkling holiday favorites and carols led by David Alan Miller and the Albany Symphony. Plus selections from Tchaikovsky's Nutcracker Suite and three movements of Handel's Messiah performed by the Cathedral of All Saint's Choir of Men and Boys. The program will also feature young musicians and dancers from The Music Studio, Capital District Youth Chorale, Boland School of Irish Dance and the World of Dance Studio with a special visit from Santa Claus. Help the world's greatest musical superhero, "SuperOrchestraMan" rescue two out-of-work superheros, "Brunnhilde" and "Kastchei the Immortal," and find them the perfect music to jumpstart their careers! Fabulous classics by Mozart, Tchaikovsky, Mussorgsky, Stravinsky and more. Includes Wagner's "Ride of the Valkeries!" 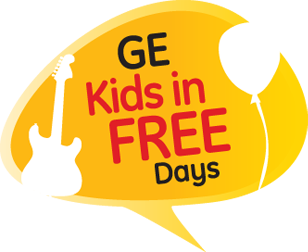 Tickets are just $20 for adults and kids are free courtesy of GE Kids In Free Days.